i was rummaging through the freezer the other day and found some frozen strawberries and frozen blueberries. since they had been in there for a while, i decided to make a smoothie to use them up. 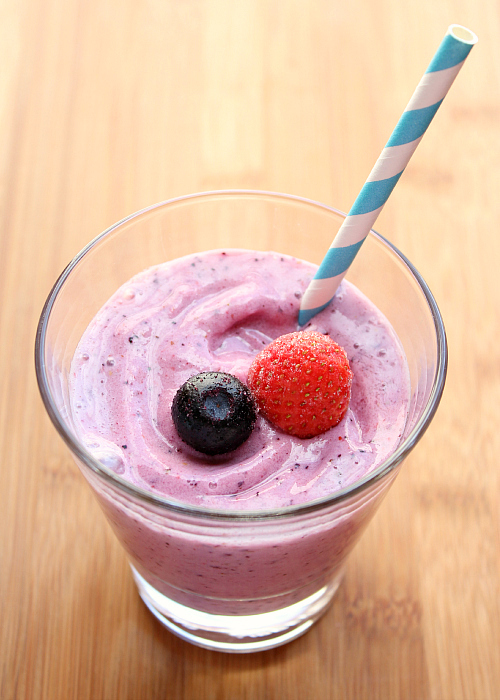 i blended them with vanilla yogurt and milk, and it was such a yummy combination. 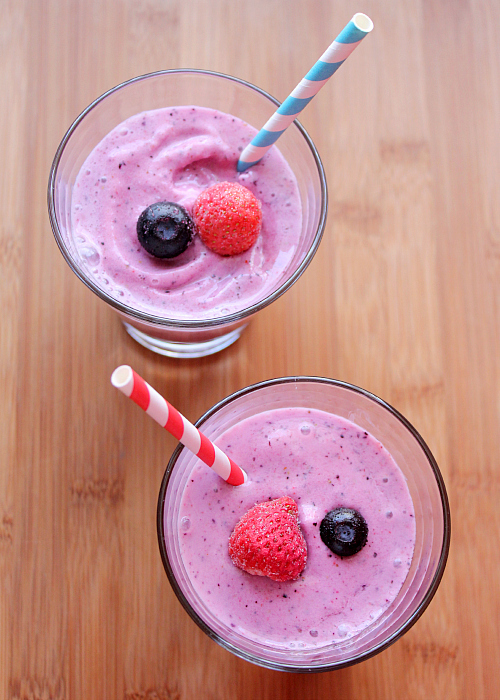 i love a good smoothie! That would be nice on a summer day poolside.